Steve Cannon is a writer and playwright, founder of Gathering of the Tribes Gallery on the Lower East Side in New York City. 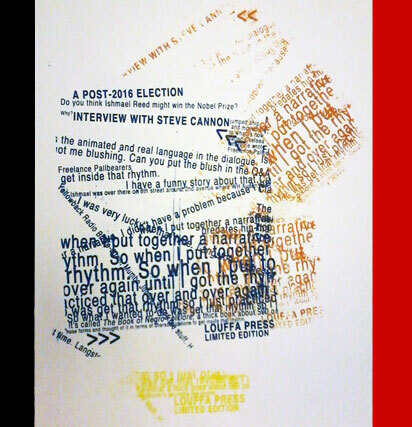 He is a Professor Emeritus at CUNY's Medgar Evers College, and the author of the cult classic novel, Groove, Bang and Jive Around. Darius James in the New York Press called the novel "an underground classic of such legendary stature that New York's black cognoscenti have transformed the work into an urban myth." $22.98 includes shipping and handling in the USA. 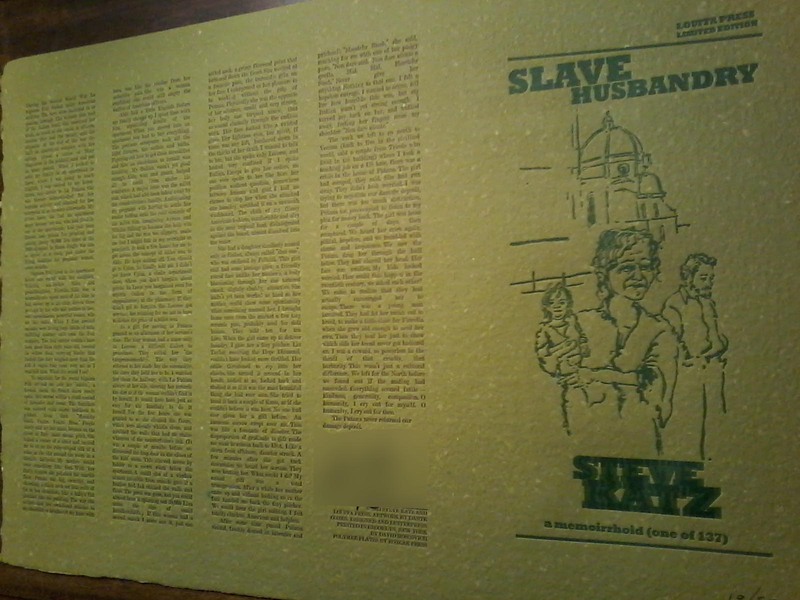 Letterpressed broadside, Slave Husbandry by Steve Katz (2011), signed and numbered edition of 50. Illustration by Dante Cohen. 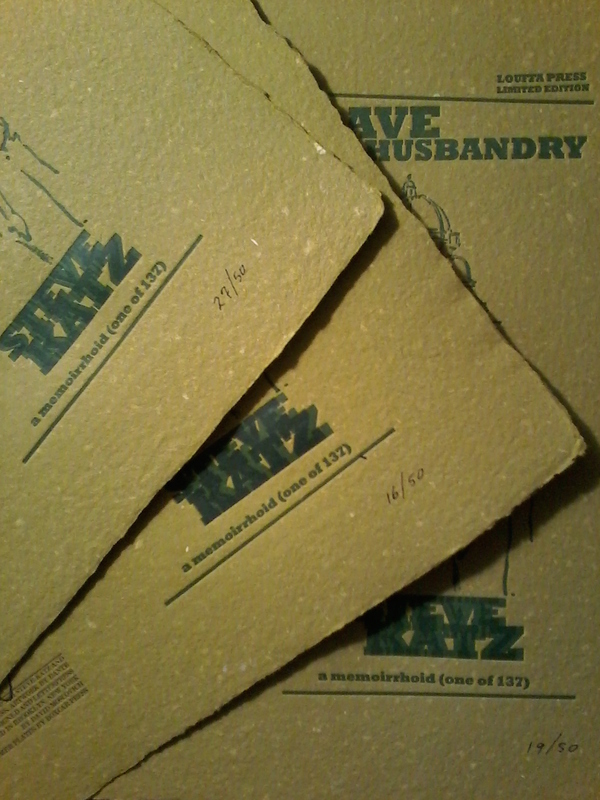 Dimensions: 12"x 19." Steve Katz is an American writer. He is considered an early post-modern or avant-garde writer for works such as The Exagggerations of Peter Prince (1968), and Saw (1972). His collection of stories, Creamy & Delicious (1970), was mentioned in Larry McCaffery's list of the 100 greatest books of the 20th century where it was named "The most extreme and perfectly executed fictional work to emerge from the Pop Art scene of the late 60s". $35.00 includes shipping and handling in the USA.